This classic Laura Ashley high polish charm bracelet is crafted in glistening sterling silver and features a classic charm bracelet design. 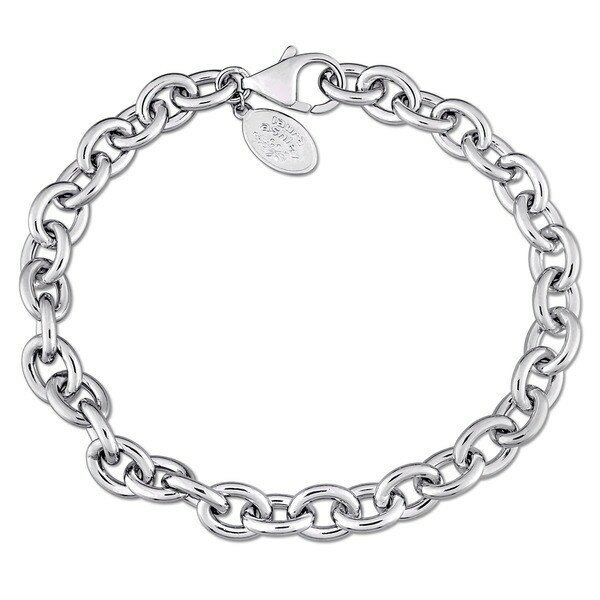 Begin a new chapter in your jewelry collection with this stunning charm-ready bracelet. All weights and measurements are approximate and may vary slightly from the listed information. *T.W. (total weight) is approximate. I bought this bracelet as a gift. It’s such a beautiful shiny finish silver and the loops were the perfect size for the charms. The lobster clasp is easy to open and close. It’s very substantial and not fragile or dainty at all. This is a heavy duty bracelet. The links are bigger than I thought but I like it this way because it holds up better. I have worn this bracelet since purchasing and have not had any problems whatsoever. Already loaded it with charms. Perfect. Looks pretty. Received it today. For my granddaughters birthday. I believe she will be happy.